He's never completed The Legend of Zelda for the original Nintendo. "I almost feel like there's still no game more difficult than it. Every time I try to play it I end up getting 'Game Over' a few too many times and giving up partway through. Certainly after playing the original Zelda for the first time, I didn't ever think that I wanted to make a game like that." "That sense of exploration of the world itself was really where I latched on to the series…"
Bingo. Compared to later games in the franchise, the first Zelda feels almost hollow. A great game that launched an era of even better titles, but the original Zelda was almost too much of an exposition on difficulty. 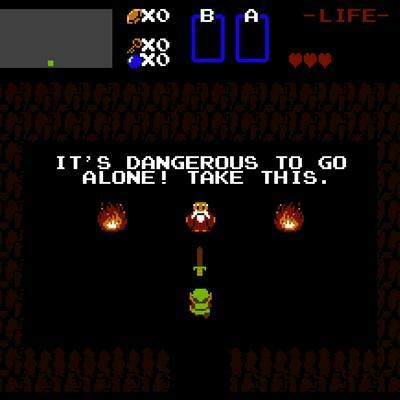 How many among you never actually completed the first Zelda?